Tips on turning the people you meet into business clients #infographic ~ Visualistan '+g+"
How to create a follow up system for the people you meet? Networking is a new and popular buzz word around the world. There are numerous articles, on how you should be proactive and be on a look-out for potential clients and partners everywhere you go, whether its attending a professional conference, or just going to an alumni meeting. However, for most people it all ends with getting numerous business cards, or in better cases, connecting on Facebook and LinkedIn. And, you end up with a long list of contacts, and end up forgetting, who you can approach and under what conditions. 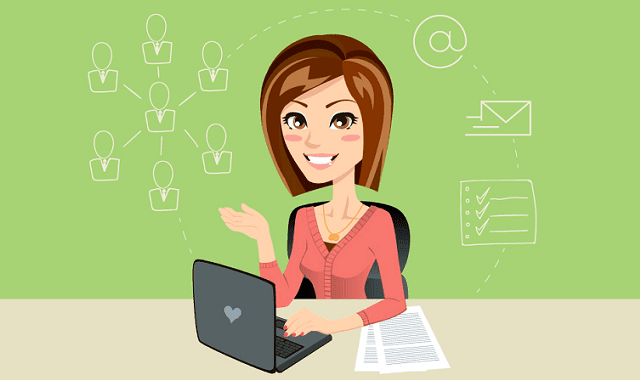 That's why, you probably will find the tips from a professional Virtual Assistant useful, on how to use the modern web systems to help organize the new contacts, and actually turn them into your new customers. Therefore, if you find yourself getting lost among different CRM and EMS systems, and still, no organized process for keeping in touch with possible clients, you will probably find this infographic very enlightning. What is a CRM? Comprehensive definition would be - a database to record, manage, and analyze customer interactions and data through the customer life cycle. All the people you meet, who can become your leads, who once expressed interest in your business are your potential clients and you want to keep track of all your interactions with them. Of course, if you are just starting your business, and you know by names all of your customers, it may not seem like an important thing. But, once your business starts to grow, you expand, meet more people, maybe hire other employees to help take care of your needs, a working, up-to-date CRM becomes a vital tool. For those, who have trouble finding the right words, there is also a great example of the letter that can be used to reach out and possibly tell more about your services (just remember, that letters should be written only to those, who have given you such permission). Some of you might also wonder, what is virtual assistant. Virtual assistant is your removed helper, who is able to take care of many small things for you, that can take a lot of your time and energy, but prove to be very important. Those tasks include and are not limited to : content and seo of your website (the benefits are numerous, wheres the effort it might take to keep up with all the latest seo tendencies, is quite great), weekly newsletter for your business partners, customers, leads, Social Media Marketing (as they say - in our age, if you don't have a selfie to prove that you attended some event, it means you were never there), operations management, launch of new service or product. Of course, you might think, for example, that you are quite modern and sophisticated, and can update your website by yourself. This is true. But do you actually have time to view, which WordPress plugin offers now the best security, or, what this update in MailChimp is about and how you can use it for your benefit?